Disagreement is a natural dynamic between people—especially when in a meeting where multiple solutions are proposed by your colleagues. 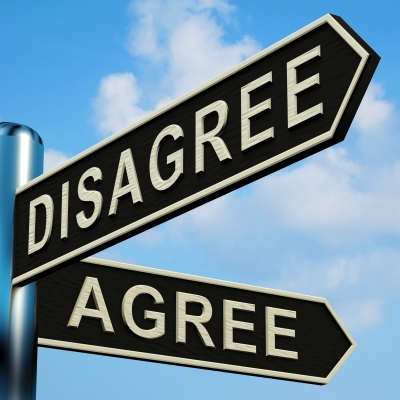 Choosing one solution inevitably results in disagreeing with another team member’s proposal. When left unresolved, disagreements can become problematic as the inherent conflict drains employees’ time, energy, confidence and productivity. The last thing you want to do is to appear too direct or aggressive amongst colleagues, members of management, clients and/or strategic partners. Successfully resolving workplace disagreements yields many dividends including mutual respect, positive relationships and a sense of trust. Learning to express your opinion in a manner that fosters acceptance and agreeable outcomes will enable you to save face and maintain healthy working relationships. Here are three ways to apply Dale Carnegie’s Human Relations principles in order to say ‘no’ nicely. ‘Try honestly to see things from the other person’s point of view.’ Actively listening to, and considering, everything the other person has to say is important to thwart assumptions and demonstrate respect. Instead of listening solely to respond, consider the other person’s perspective, experiences, influences and ultimate agenda. Ask clarifying questions to ensure you understand exactly what the other person is saying instead of what your gut-reaction interpretation may be. Avoid allowing pride, preference and past experiences to influence your opinion of the topic at hand. After giving someone the benefit of the doubt, you will understand why they hold this belief and be better apt to disagree agreeably. Use ‘I’ statements. Responding with ‘you’ statements appears as blaming and confrontational to the other person, ultimately putting them on the defense. Beginning with ‘I’ statements shows that you are accountable and trying to express your point of view so that you are actually heard. Cushion to quell conflict. A cushion is a neutral or connecting statement used when sharing a different opinion. Phrases such as, “I hear what you’re saying…” or “I appreciate your view on…” soften the point of disagreement and demonstrate respect for the other person’s opinion. ‘Throw down a challenge.’ Consider that the other person may be right and ask for factual evidence that supports his or her position. For example, stating, “If we can conduct a study which ultimately shows that…” or “Why don’t we examine the productivity reports together to ascertain if that is in fact true,” you demonstrate that you are open to the other person’s point of view and focused on resolving the conflict, not encouraging it.